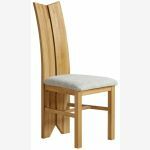 The Tulip Natural Solid Oak & Grey Fabric Dining Chair boasts a design that wouldn't look out of place in an art gallery. 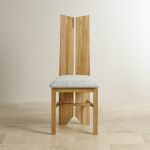 It features an elegantly tapered dual back support mimicking the Tulip flower’s own natural sophistication. Its comfortable seat flares outwards for optimum support and uniqueness. 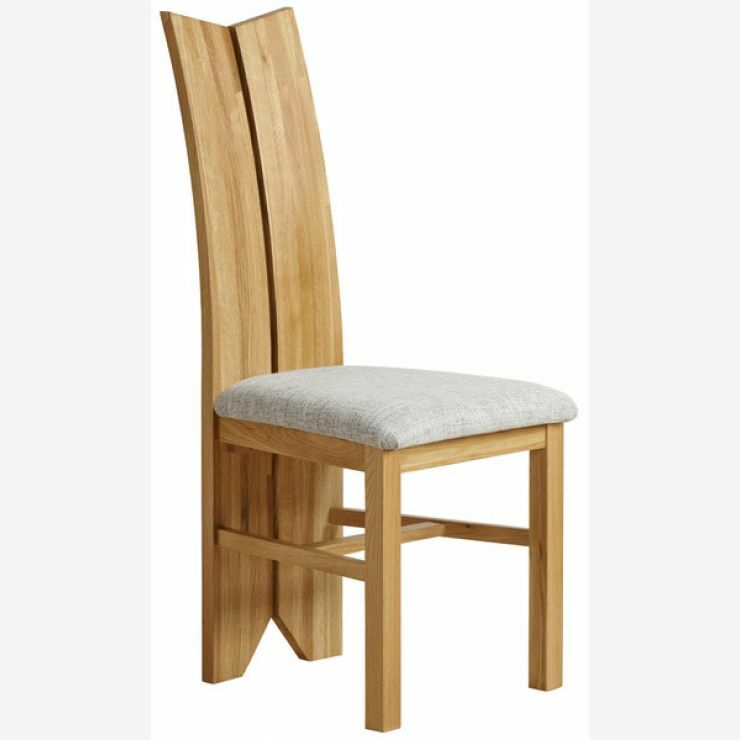 Yet despite its unusual design, it remains a tasteful, versatile addition to any dining table. 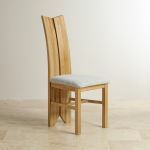 Pair with the simple Solid Oak Dining Table and let the chairs flourish for themselves. The wood is also subtly enhanced with our very own furniture wax to ensure the grain is at its best. Enjoy free delivery and rejoice in the fact that there isn't a flat pack in sight.